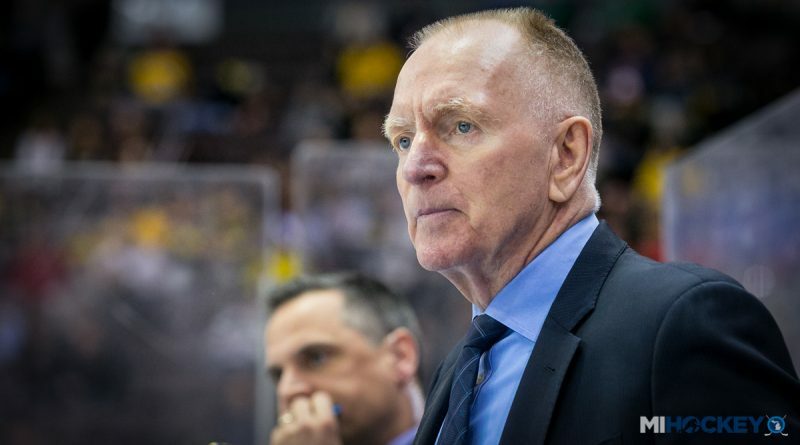 Red Berenson may be done coaching, but he’s not done receiving accolades from the hockey community. Today, the American Hockey Coaches Association announced that the longtime Michigan head coach will be this year’s recipient of the John MacInnes Award, the top recognition from the collection of college coaches presented each year at the AHCA Convention in Florida. Berenson was recently inducted into the U.S. Hockey Hall of Fame after his unique career at both the professional and collegiate levels – he is the only person to be selected Coach of the Year in both the NHL and the NCAA. He is best known, however, for his 33 years behind the bench of his alma mater, turning the University of Michigan into one of the top hockey schools in the country. Berenson finished with a career mark of 848-426-92 in 1,366 games – all with the Maize and Blue. He guided Michigan to a record 22 consecutive appearances in the NCAA tournament, capturing two national titles in the process.